If you attend the Secret Agent Camp, you'll learn how to zipline. Have an unusual kid between the ages of 8 and 16 who hould be the next Insta-star? has unusual interests? Don’t we all? Well, there’s now an unusual sleep away camp with short (1 or 2-week) sessions in a beautiful location that is made for them. 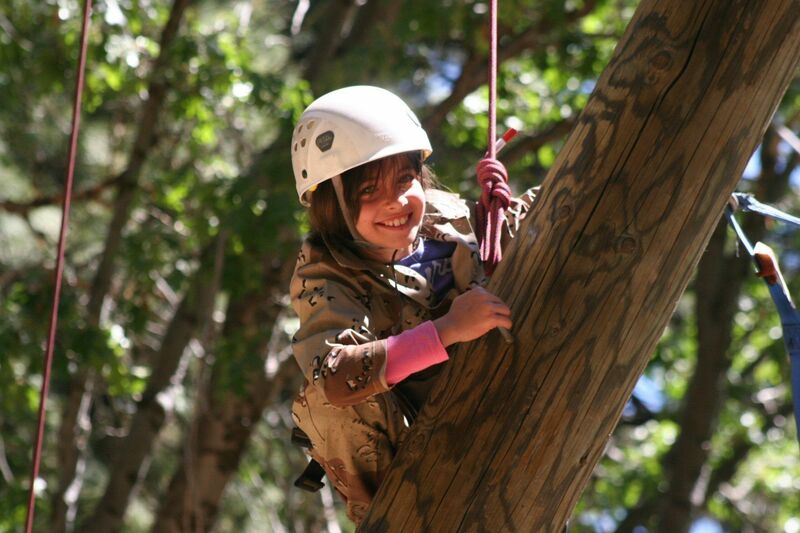 Not only does this camp offer a wide variety of highly photogenic activities to choose from, it’s also located near Lake Arrowhead, California — a region that’s popular with families if you plan to stay nearby. Regardless of your children’s interests and your passion for photo ops — we think Pali Overnight Adventures may have a one-week or two-week session that meets your needs. What Can the Kids Learn? This year’s Pali Adventures lineup includes 22 highly unique summer camps, clustered in groups that focus on Adventure, Creativity, Performance and Leadership including Magic Camp, Secret Agent Camp and others designed for your adventurers. Or, perhaps the Rock Star or Culinary Camp are better suited to your budding celebrity. Teens will participate in many of the same group activities and sports, but can select their focus from this list of specialty camps. Instead of hiking and roasting marshmallows, all campers have 50+ activities to choose from including rock climbing, ziplining, EuroBungee and of course, the usual variety of watersports to round out their specialty. So, if your family is headed to Cali this summer and you think you might go stir crazy without some activities, check out what they have to offer at Pali Adventures. For 2017, the pricing is about $2,145 per week with discounts for two or four-week stays, discounts for more than one enrolled child, plus a special rate for CITs over age 16 in the Leadership Camp. For more information, get in touch with Pali Adventures at in Running Springs, California or have the kids call them at 909/867-5743 with questions. Next Article Next Article The Travel #Ripoff – Legal Maybe, But Ethical?